Jawbreaker's Mermaid Squad Backpack is a sparkly kawaii bag. 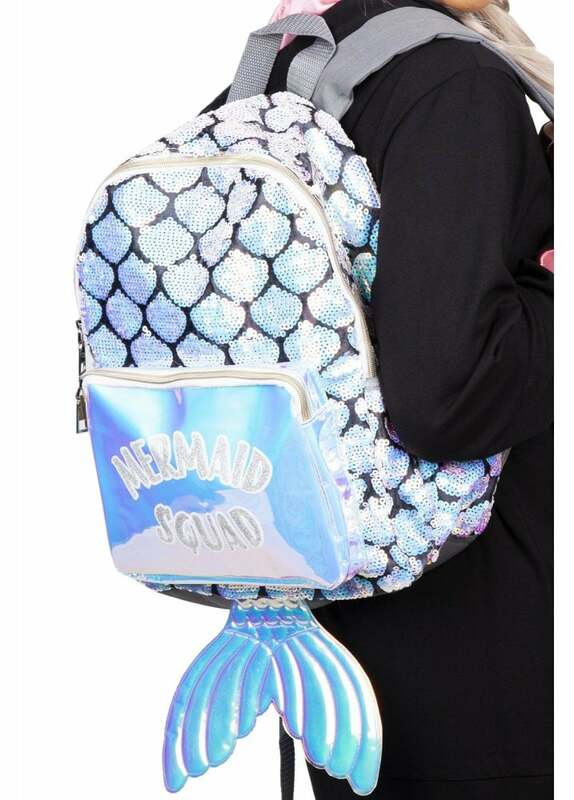 The backpack has a sequin scales design and a 3D iridescent mermaid tail at the bottom. The bag has a large front pocket with Mermaid Squad slogan and adjustable straps.